For high temperature performance, pure nickel is an ideal choice of conductor and it can withstand temperatures up to +750oC. The high temperature glass insulation enables the nickel conductor to operate continuously at +600oC and for short periods up to +750oC. Normally used in furnaces, ovens, kilns and other extremely high temperature environments. 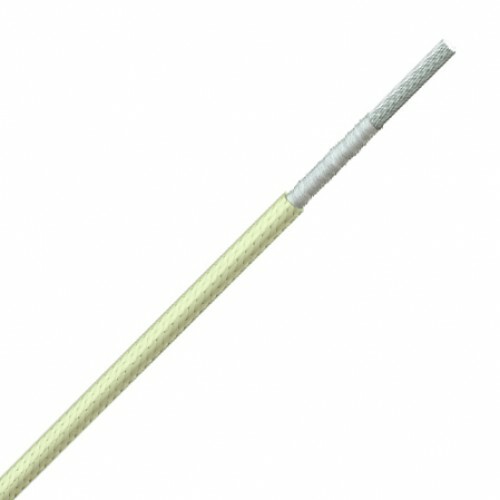 These cables can also be manufacture in multicore versions with overall glass fibre or stainless steel braids. 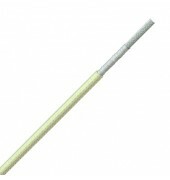 For higher operating voltages are also available by special order. This includes a mica tape in the cable construction. Pure nickel strands, double glass yarn lapped, impregnated, glass braided, double silicone varnished, color natural or white. Part No. Cross Section (mm2) Stranding (mm) Weight (kg/km) OD (mm) Current (A) at +30oC Ambient Temp.